Jai Bharadwaj, Mili’s father and owner of The Serenity Tea Estate in the idyllic Nilgiris would’ve probably liked to do the same, but being who he was, he had to ask her first. Milan is a journey of a girl from the time she reluctantly agrees to an arranged match till she get married—truly a wedding story. The author explores the insecurities, doubts, desires, longing of a would-be-bride who wants everything but is scared of things to come. She knows her life would change irrevocably but still desires to be with someone who will cherish and love her forever. Mili is a twenty-something, who has finished her education and is ready to embark on the life’s journey of excelling in the field of music, but her parents want her to get married and settle down as is the case in most of Indian families. In comes handsome Ahaan, her childhood mate, who has set his eyes on Mili the moment he saw her again after years. Instantly attracted to Ahaan, Mili agrees. And then battles the eternal struggle between her ambitious dreams and desire for Ahaan. The novella is set in a Tea plantation on Coonoor and the author has done an excellent work in describing the setting of a small, beautiful hill-town. It is as if one is right in the middle of the action. Mili is a simple girl, sheltered and pampered by a loving family. One is able to relate to her jitters and fears about stepping into a new life. But for 21st century girl I found her to be too childish and immature, a person who flies off the handle every time someone utters something which is not to her liking. At times it became a tad unrealistic. Ahaan is perfect in his character of a loving fiancé and a mature bureaucrat in the External affairs ministry. His job profile added to the character’s sophisticated persona. Mili’s parents figured quite a lot in the story. It was a little odd that they were practically privy to all their (main characters’) thoughts and rendezvous. There are certain things with didn’t sit well with me. One is about Mili’s mother asking her to sort out her room, and take whatever she wants back to her husband’s house so that the room could be vacated. Why? The girl is anyway emotional about leaving her parent’s house and instead of consoling her that everything would be alright, her mother was uprooting her childhood room as well. Second thing was Mili forgetting about her Sagai date. Can someone forget the very date they have been preparing for weeks? Leaving aside these few oopsies, I liked the story. Ms Rao has a way with words and it was entertaining to read the simple happenings in a family when a girl is about to get married. Language and narration is tasteful. The cover is simply fantastic, it attracts the readers attention and makes a person curious about the story. The story does justice to the expectations. 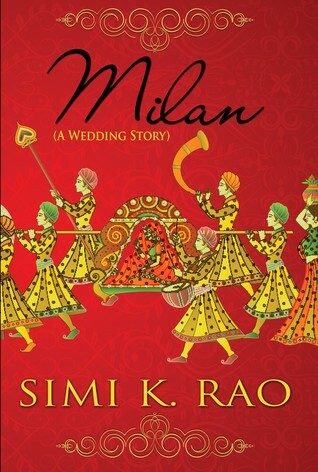 ‘Milan’ is a simple, breezy read, I would recommend it to people who are looking for a clean romance and a glimpse into Indian wedding scenario. 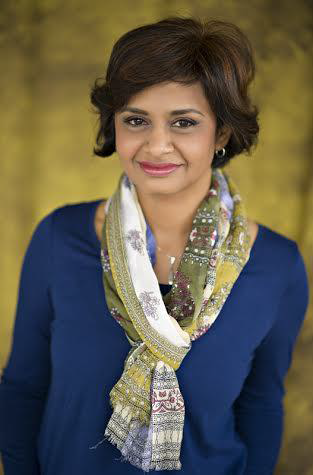 Rao enjoys exploring the dynamics of contemporary American culture blended with Indian customs and heritage to reflect the challenges and opportunities many Indian-American women face in real life. Much of Rao’s down time is devoted to creative pursuits, including writing fiction, poetry and photography. She is an avid traveler and has visited many locations around the world. A practicing physician, Rao lives in Denver with her family.